There is nothing like a good snack to keep you in top form when you are out skiing all day. Our 3* hotel in La Plagne welcomes you to its “Le Chaudron” snack bar, where you can unwind in the sunshine on a south-facing terrace with a magnificent view over the resort’s slopes. Have lunch or order a snack to eat in or take away. 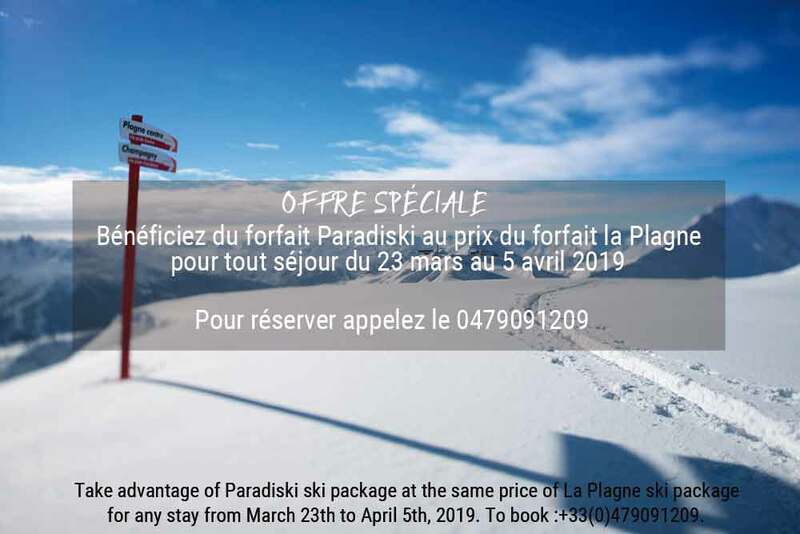 The large terrace is perfectly situated next to the slopes in the heart of the La Plagne resort, so you will be putting your skis back on and hitting the slopes again in no time. Seating at our hotel’s snack bar is outdoors on the terrace so, although the sun is a regular visitor to la Plagne, we only open for business if the weather permits. In bad weather, take advantage of the cosy warmth of our restaurant or indoor bar instead. The snack bar is open for lunch from 12 noon to 2 pm.